Hi. 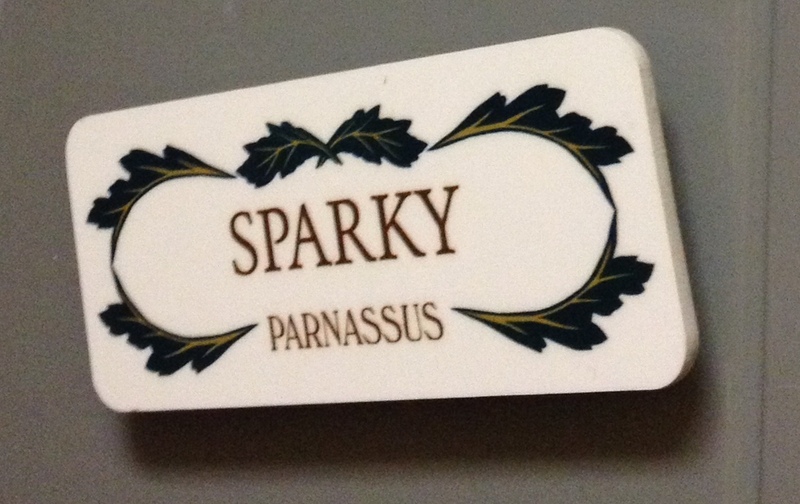 I’m Sparky, Ann’s dog. I work at Parnassus Books, where I have a variety of important responsibilities. (You’ve probably seen me around. 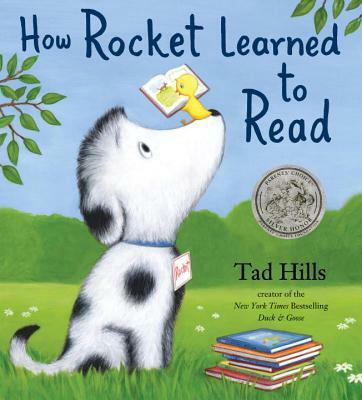 People say I look like Rocket in How Rocket Learned to Read. This is not true. Rocket looks like me.) I won’t lie to you — the lifestyle of a shop dog is pretty swanky, and the perks are sweet. There are snacks, lots of head-pats, and an abundance of intriguing smells. But lest you believe it’s easy, I’m here to tell you that to hold down this job, you’ve got to be on your game every day. For all the dogs out there who aspire to a career like mine, here’s my list of bookstore behavior basics. 1. Remember: Shop dogs are important ambassadors of the store and must comport themselves with dignity at all times. Except me. I’m going to be over here under a chair licking a stuffed duck. 2. Books don’t taste as good as they look. Trust me on this. 3. All grooming and self-cleaning activities should be saved for home, unless it’s an emergency. 4. There’s a time and a place for barking. The store is usually not the place. 6. The chairs are for the people. Fiiiiiiine. 7. The sun comes in the front windows in the morning, and the warmest spot is just in front of the magazine rack. Whoever gets to it first gets to nap on it. 8. Never follow a customer to the parking lot. Big, loud, fast-moving things are out there. 9. The best view of everyone’s shoes is from under the Nonfiction New Releases table. 10. Be careful in the children’s section. Babies smell nice, but strollers are unpredictable. Steer clear.